Here is a cute card we made at my Card Club workshops last month featuring the Lift Me Up Bundle (Lift Me Up Stamp Set and Up & Away Thinlits Dies). 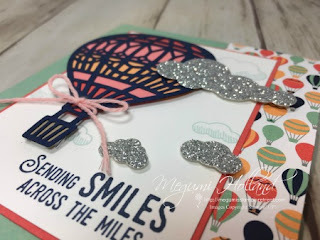 I love these hot air balloons! 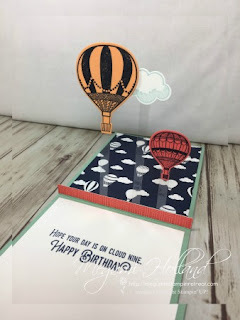 I was looking for a way to have the balloons floating in the air so I cut a piece of Window Sheet into 1/4" wide strips and then adhered them in between two pieces of card base. 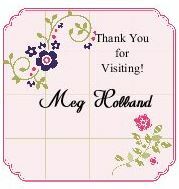 To make this easier to assemble, I first cut Mint Macaron Cardstock to 4-1/4" x 5-1/2" and then scored at 1/4" on the 4-1/4" side. You will need 2 pieces of these for your card base. I ran a strip of Tear and Tape Adhesive on the 1/4" section on both card bases and this is where I secured the Window Sheet strips in between. How about this adorable Carried Away Designer Series Paper? 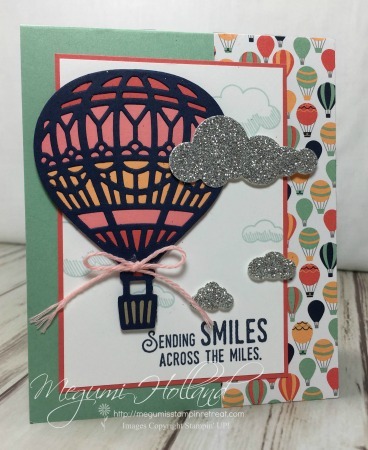 It is one of this year's Sale-A-Bration products and coordinates with the Lift Me Up Bundle. Really pretty! CPC Lunchbox Notes & Pizza Box!